​The VNB Reader allows you to monitor a range of data from any manufacturer’s vehicle with electronic controls for the engine, transmission, braking and vehicle systems. 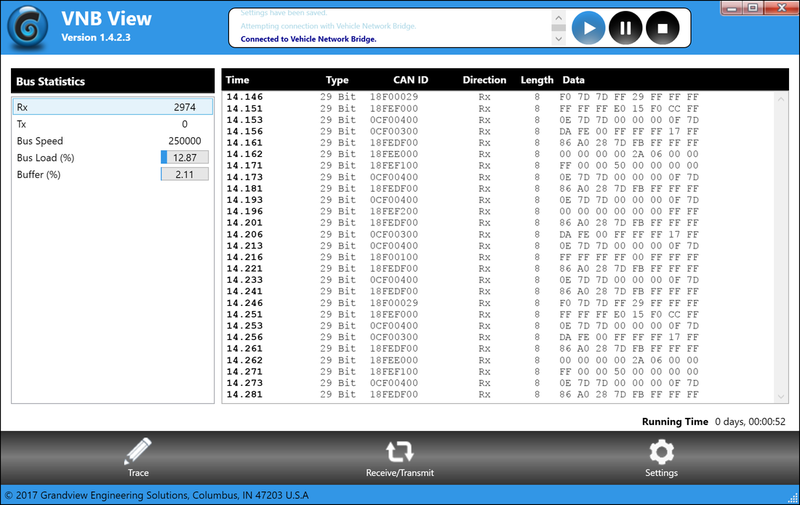 The VNB View is a simple CAN monitor for viewing, transmitting, and recording CAN data traffic. Messages can be transmitted manually and periodically at a user-determined bit rate.